I am not really what you would call a Will Smith fan. 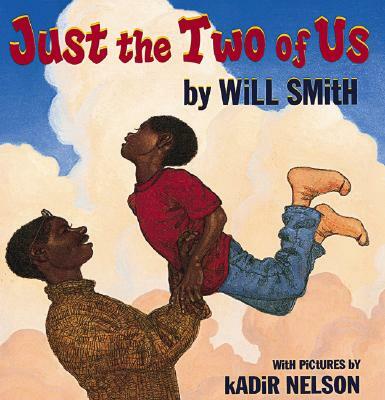 However, I find that this book shows another facet of Will Smith: the family man, the overwhelmed dad, and the proud father who would do anything for his son. 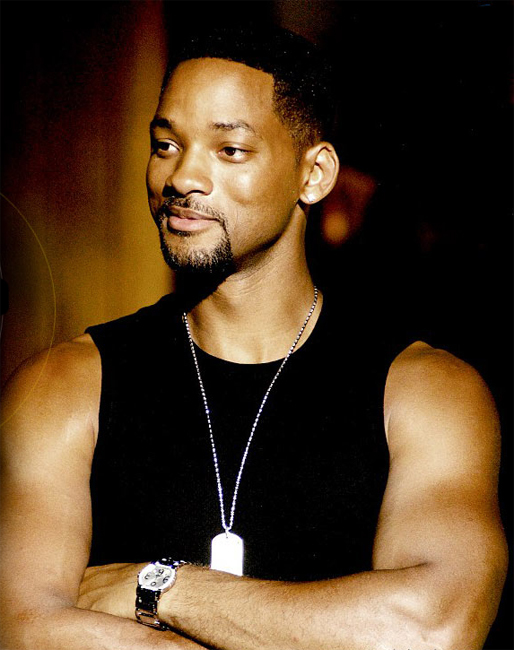 My husband informed me that before Will Smith became a movie star, he used to be a rapper. I googled his info and true enough, he started out as a rapper (The Fresh Prince) before moving on to become a TV star, then the rest of course is history. He has four Golden Globe Awards, two Academy Awards and multiple Grammy awards to his name. I got this all from a wiki source primarily because his official website requires one to be a member in order to view his bio/information. 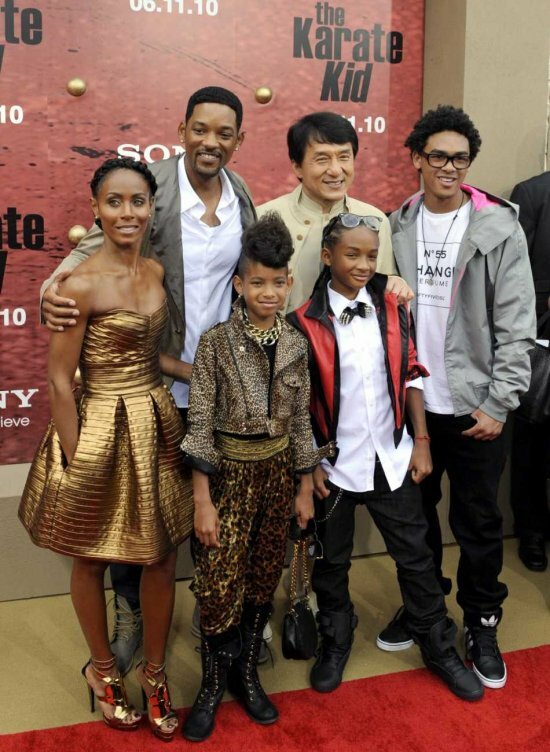 The book is Will Smith’s tribute to his parents who helped him draw the plans to build his castles in the sky – and to his little boy who has given him the gift of drawing such tenderness and strength from someplace deep within himself – and showing this to the world through his music. Ok his rap. This one is my favorite. I love the way that the daddy just holds his little baby’s head in the palm of his hand. For the longest time, much of the literature, picture books, films feature the love-hate relationship between mother and child. It is truly rare that one sees this kind of devotion from a father, and in such cool hip form. And yes, that makes it even more genuine and heartfelt. The ball and skateboard lying on the floor, the cork board with post it notes and overlapping photos and the subtle exchange of looks between father and son – just priceless. 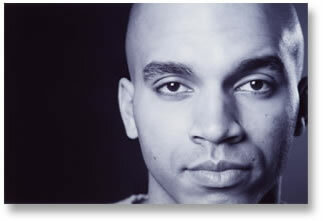 Perhaps a lot of it has to do with the fact that the Illustrator, Kadir Nelson, is also a celebrated artist in his own right. 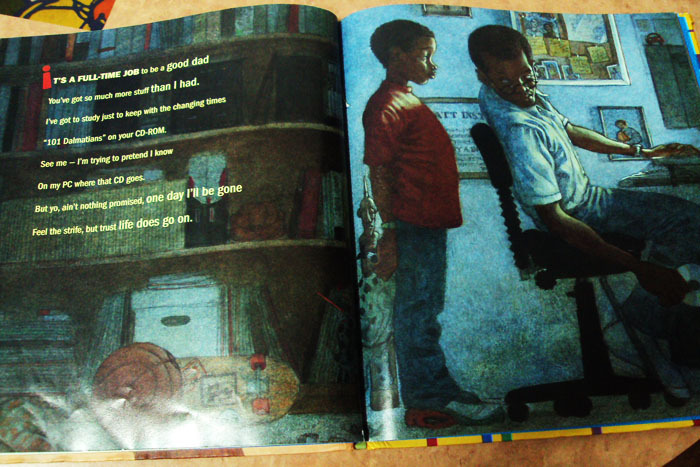 Recipient of the Coretta Scott King Illustrator Award, Caldecott Honor and an NAACP Image Award – (click here to be taken to his website) it is no wonder that the illustrations are like live paintings that have its own pulse and heartbeat. As Kadir Nelson noted, being an artist is “part of my DNA.” Thus, the energy emanating in each of the pages of this lovely picture book. While a lot of singers, famous musicians, artists choose to dwell on the ugly aspects of things, the misery, the hopelessness, the drudgery, here is Will Smith choosing to showcase his love for his newborn and his family through this rendition of Just the two of us. We can make it if we try, just the two of us, you and I. Post dedicated to Angel’s Third. Book borrowed from the community library. Book photos taken by feature writer. I remember this song very much and remember the back story about his son. I used to watch Fresh Prince of Bel-air. Will Smith’s career if anything has been interesting. It was independence day and men in black that made him a hollywood heavy weight, but he was first and foremost a rapper. I have to agree that picture of the father’s hand on his son’s head is beautiful. The art actually is quite moving. I didn’t even know about Fresh Prince of Bel Air until I googled his info. 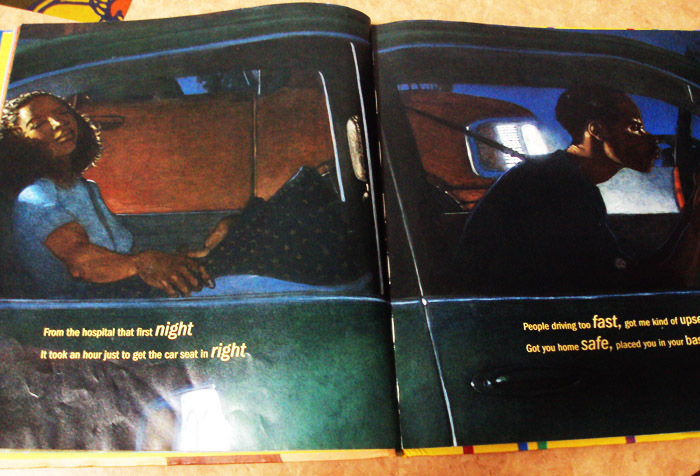 =( But yes, the picture book is amazing. 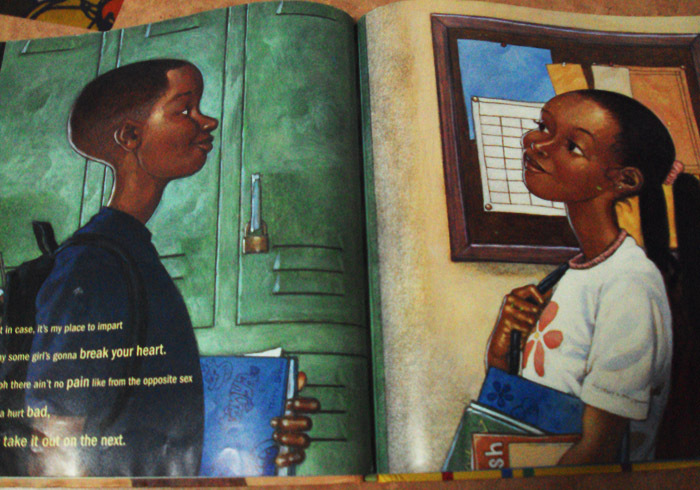 Kadir Nelson is a genius.